I haven't ridden here yet, but I want to add these trails to the database because I want to add them to my wish list. From what I can see on the internet, there are four trails (purpose cut ST DH runs), adding up to maybe 5 miles. There are berms, dirt jumps, rollers, small gaps, small walls and wooden drops. Do a DH run, and then either pedal back up the short hill for another run or shuttle up. 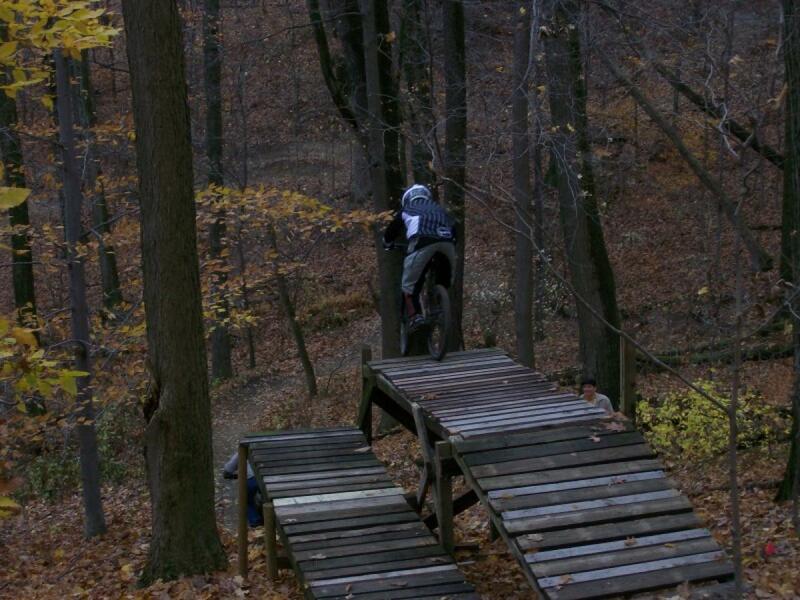 It looks like Central Ohio has a nice little DH park here. I said the config is a "network" because the climb back to the top is rather short, so I would just keep networking trails together by riding the road back up. Of course many probably see this as a shuttle config. I look forward to hearing from those who have ridden here. Review: After I bought my DH bike (three years ago) this was the first place I came too. While a dual crown fork and eight inches of travel aren't required for these trails they are still loads of fun on a big bike. These trails are basically all jump lines with the exception of some wooden "North Shore" type features and some rocks towards the bottom of one trail. I've always shuttled back to the top but the road offers a smooth climb to those who are feeling some cardio. If maintenance seems lacking it's because basically one man does it all. Many black diamond features all with ride arounds, gapped jumps are rollable, a fun place to learn drops, jumps and berms at speed. Horns Hill Park MTB Trail 4.00 out of 5 based on 5 ratings. 5 user reviews.